A memoir of the Iraq war and its consequences on the psyche of a young man. The trouble with writing the unvarnished truth in a memoir is that it requires you to be hard not only on others, but also on yourself. Matt Young’s inventive, unsparing, irreverent and consistently entertaining Eat the Apple is that, but it is also a useful corrective to the current idealization of the American soldier — or in this case a Marine … Young writes less about war here than about the culture of being a Marine, one of the few and the proud. His memoir — its title, Eat the Apple, refers to a vulgar Marine proverb — is in its own way a loving portrait, but it is also unsparing, ugly and outrageous … He has written a collection of arresting vignettes, roughly chronological, in a variety of forms. Young is a frank, funny and mercilessly self-lacerating narrator. His writing is entertaining and experimental — two adjectives not often found together. 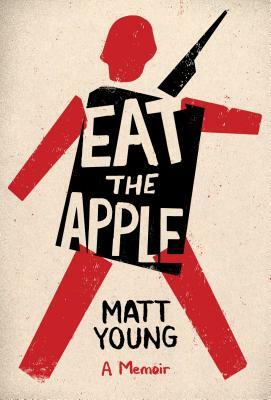 To convey the chaos of his three deployments in Iraq, Young writes in choppy chapters filled with lists, letters, cartoons, plays and, yes, lots of stories … Eat the Apple is a brilliant and barbed memoir of the Iraq War. Unlike his ‘past-me’ self in that hotel room struggling to communicate with his family, Young has now found the language to convey the messy totality of his experiences. And that's just about all the redemption you'll find in Young's war story. From the very first page, I was enraptured by Young’s voice and ingenuity ... Young is a canny enough observer to tell the story of his own obliteration. When he explains how he was browbeaten into military conformity, he is at once the subject of the stories - the one who is no longer individual - and the commentator on the stories - the individual addressing the reader. It’s a kind of literary magic trick, a multiple personality disorder of narration, and it works beautifully ... Eat the Apple perfectly captures that dichotomy of the American military - to protect individual freedoms, we must destroy our own individual freedoms - in beautiful, hilarious, horrifying prose. What did you think of Eat the Apple?